NOTE: I wrote this before we had our first hard freeze this morning of November 13th, in fact the same day 4 years ago. Most of our 1st hard freezes are in early December. It's time for the latest updates in my life. I guess I have been busy again in looking over the list I made to remind me. Sifting the old bird seed from the gravel around feeding area. While I was on the sewing machine, I hemmed a bunch of pants for Jim and just in time for the cooler weather of the season. 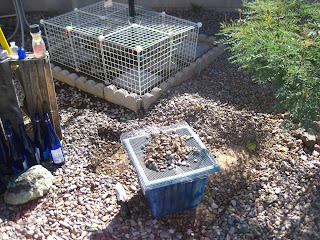 I finally finished sifting old bird seed out of the gravel around the bird feeding area. 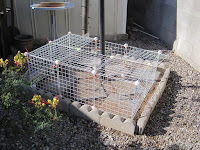 I fixed a sifter using a large plant pot and some quarter inch wire mesh on top, shoveled the gravel & seeds on top, did some moving around so the old seed would fall through. 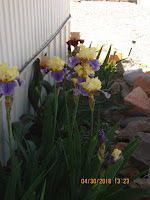 Am using the old seed hulls in my alley garden to hold down the soil. Looks much better. I did have to work around all the ant nests I kept disturbing. It took me 6 to 7 weeks to get it done. Jim now has some new grab bars in the bathtub that I put up. They were given to him by the home health service. He's doing pretty good taking his showers but needs to have someone present in case he falls. He can still do his laundry and shave his beard every now and then with a regular razor (hasn't cut himself either). 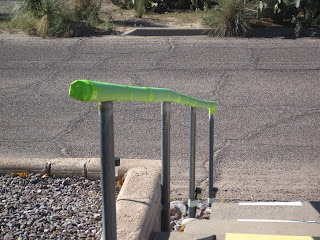 New swim noodle covering on stairs metal pipe railing. and then there is the raking up of leaves from the mulberry tree (at this writing most of the leaves came down this morning after last night's hard freeze). 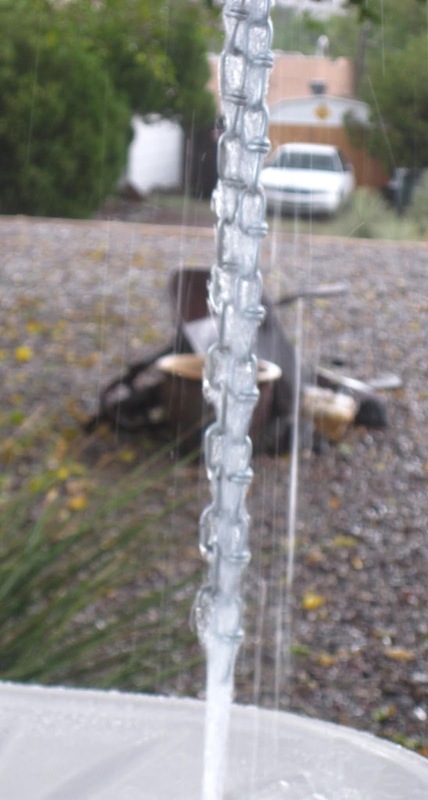 We had some nice rain totals for September and October with each month coming in at 1.50 inches each. That's a bunch for us. 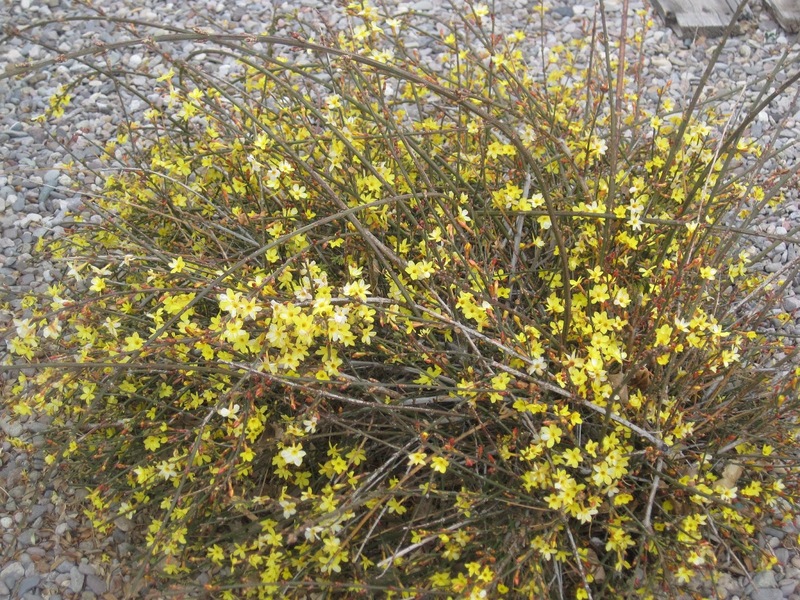 Got my "super dooper" senior flu shot in September and had a small reaction 3 days later; the winter jasmine shrubs got their winter "bob". Most of the hummers have left and there were a few passing through so the feeder was up until around Nov 10th. About a dozen gold finches are still around but will finish putting out their seed when the current bird seed bag is empty. I did cut down the size of the birdio and it is much easier to clean around the area now. I have some rusted tools and am cleaning them up by soaking them in vinegar and brushing with old toothbrush or steel wool. Works really good. Have done some clean-up around the bird feeding area as was getting a big crowded with "stuff". Now we have a clear shot at watching the birds. My big job was cleaning out the patio cover's gutters of bird nesting material and repairing the damaged gutter that I pulled down two years ago when I accidentally pushed the stepladder over. I instinctlly grabbed for the gutter and well we both landed on top of the ladder. The ladder was bent out of commission, I had black and blue spots from mid-calf to shoulder blade on right side and gutter was kind of bent. Last year I didn't feel like doing anything so this year I said "lets get her done". 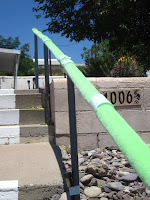 I made some "bird guards"
Sliding the homemade bird guards down into the guttering. 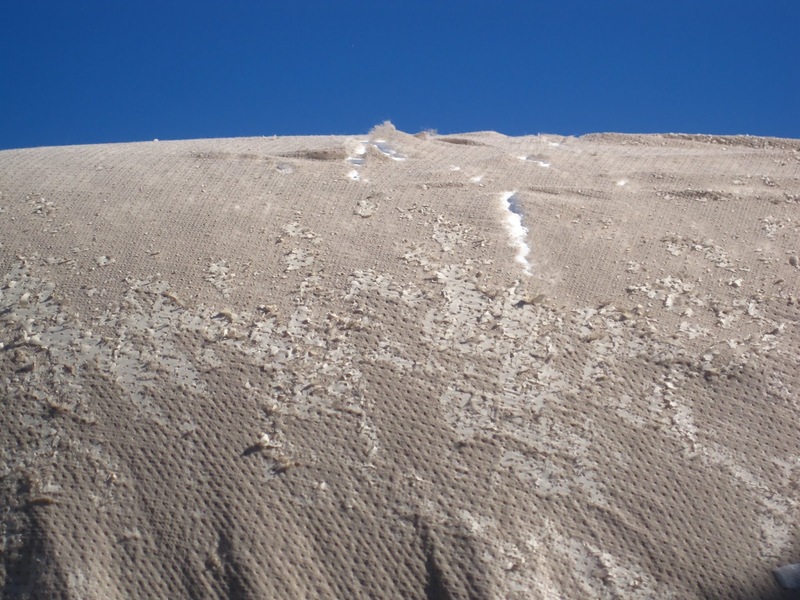 to slide down the undamaged guttering and put in the repaired section before putting up, from some more quarter inch wire mesh. With scraps of wire mesh, I made rolls and inserted in the raised sections of the patio roof to discourage the birds from getting in that way. Saw a couple of sparrows checking it out the other day and don't think they were too happy. 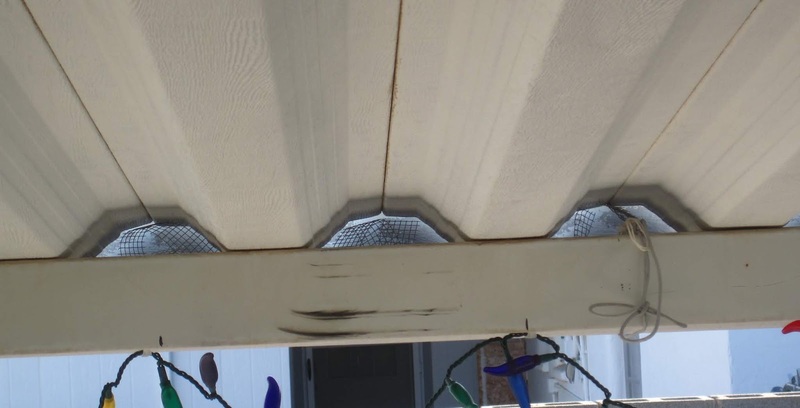 My bird discouragers - see mesh in raised part of roof? With 4 days of rain coming, I did need to hurry and get the repaired section up and wasn't having much luck doing it by myself (it's the middle section of 3) and as I was doing a temp job of getting up and caulking the joints, my neighbor said "Can I help?". So he and I will re-do it in the spring. Had my pacemaker checked in October and everything is AOK and an expected 2 more years on the battery life in the pacemaker. Visited the dermatologist for my 6 month checkup and had a low-grade tumor removed from my right wrist and 3 basal cell carcinoma from the back of my right leg above the ankle. "Eggie" my little Casita trailer got an early Christmas present - a new cover. 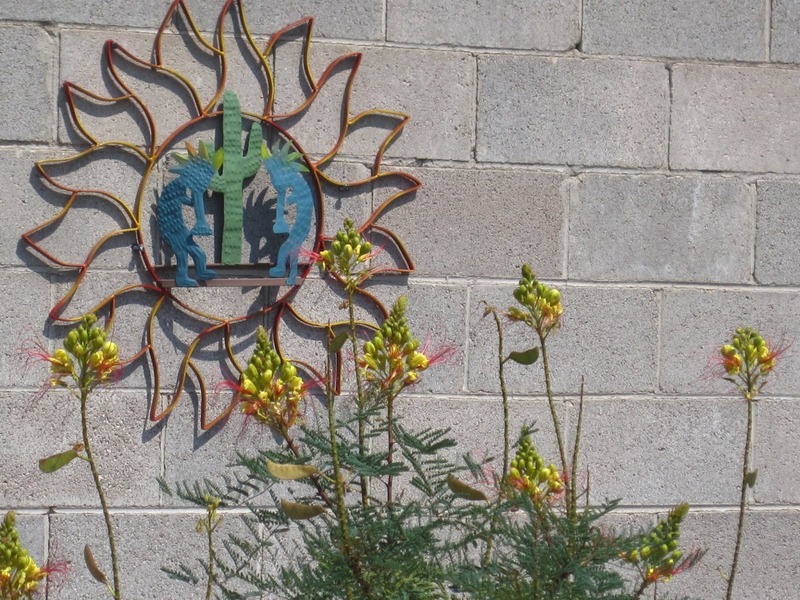 NM sun is harsh on everything. Trailer cover tearing to pieces. 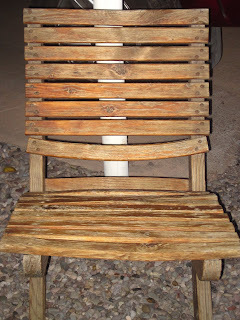 The old one just disintegrated in the harsh NM sun. It came with the trailer when I bought it over 12 years ago. I didn't really use it that much so that's why it lasted so long. I hope this new one will last 2, maybe 3 years. Curtains have all been washed in part of my Fall cleaning, no window washing until Spring. Daughter will be coming down for a week at Thanksgiving so Fall cleaning will be done before she gets here. 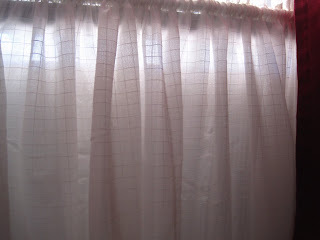 One of my favorite fabrics for curtains is one called Window Pane. It brings back memories of my child hood days visiting Nana and Bopar in Norris TN, where Bopar worked as a chemist for the TVA. 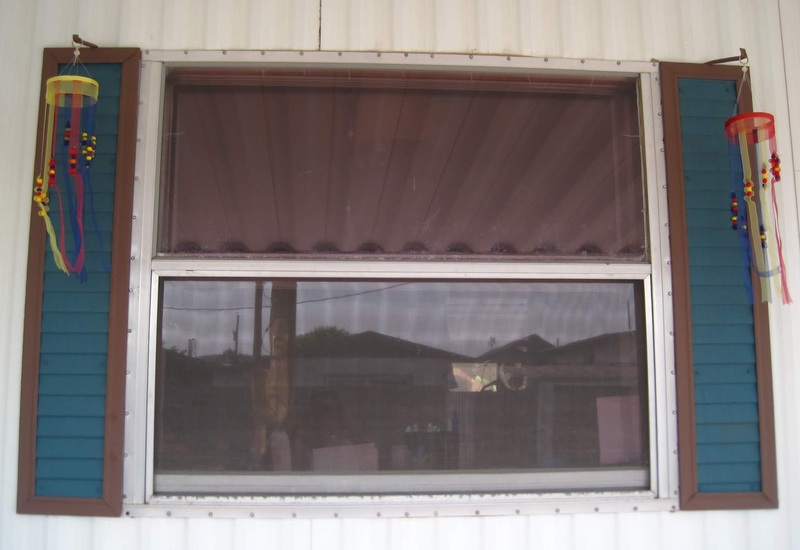 Nana loved the Window Pane fabric and it was in a lot of her windows. 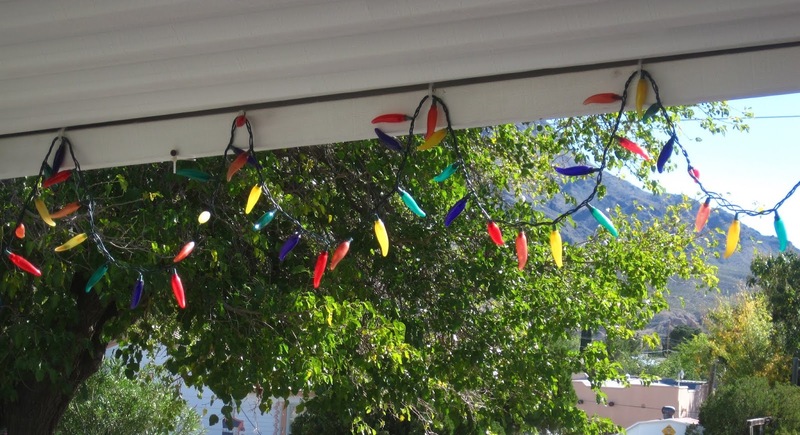 My chile pepper lights ready to glow during the holidays. 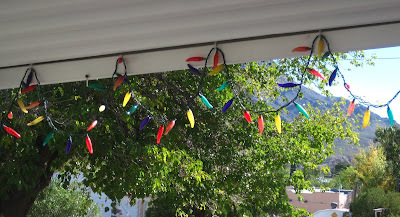 I am putting up my Christmas lights while the weather is warm. I don't turn them on until Thanksgiving Day night. The rest of the decorations will go up around then. I am having trouble with my left wrist and will be seeing a bone doc. Had some X-rays but they didn't show why my wrist keeps popping. Gets painful at times. 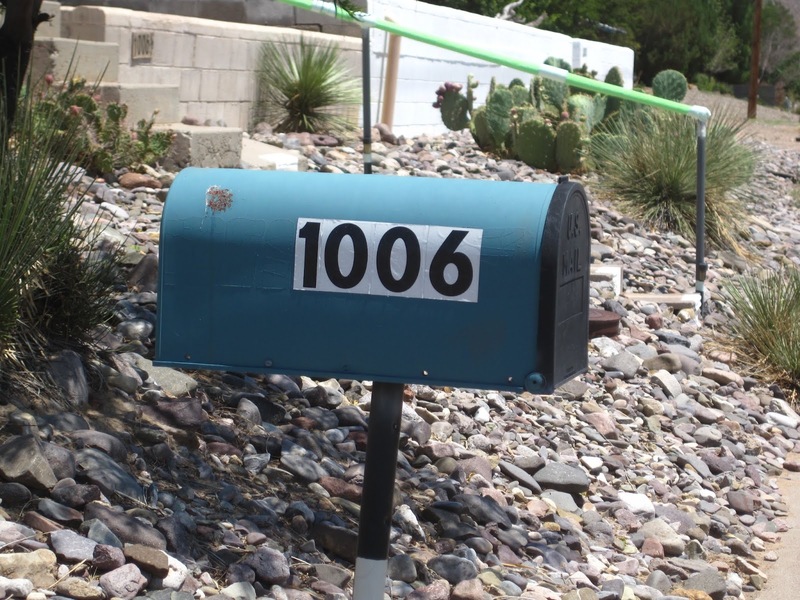 Still have the "bling" to do on my mailbox, fix the back door steps, paint the front door steps and re-finish my slat back chair. That's it for now. As I noted at the beginning, we have had our first hard freeze and the leaves on the mulberry tree are now down on the ground just waiting for me to clean them up. 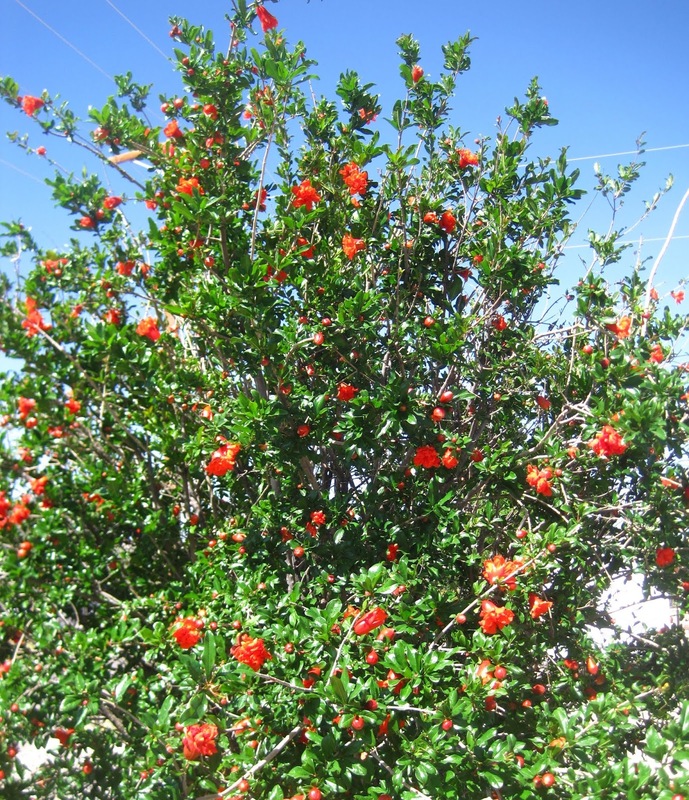 The pomegranate bush is about as bare as the tree and I just noticed the winter jasmine bushes have buds on them - they like to bloom out with little yellow flowers in December through March. Our family wishes you the best for the Thanksgiving Holidays. As I posted in the previous, having that "response" mode turned on in the pace maker and combined with my "juice" I came alive. 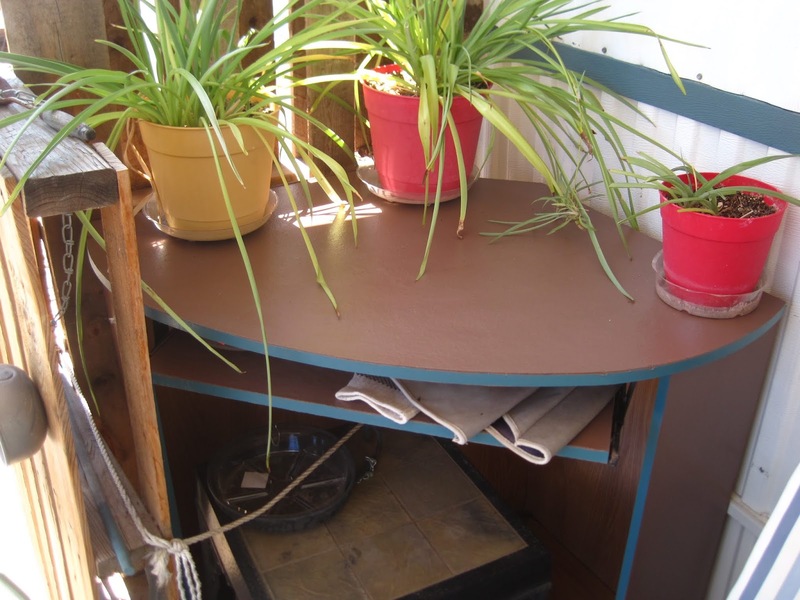 I have a metal shed I store stuff that can be quickly and easily reached. 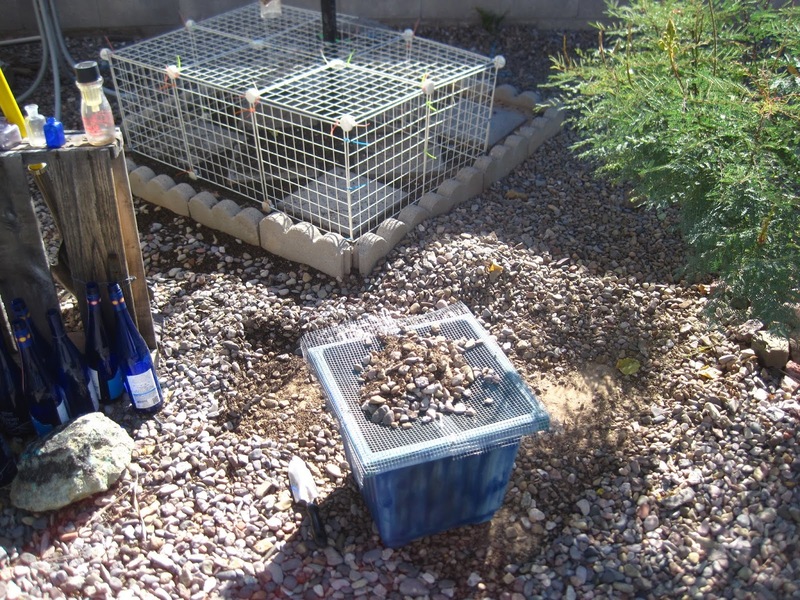 Last winter, the shed had been emptied because I need to put a wire mesh floor down to keep the ground squirrels out and digging tunnels over to the neighbor's yard. The kids helped me finish it up during Juno's visit at Thanksgiving. Some of the stuff got put back in in a haphazard way until this spring. Every thing out and then every thing back in an organized manner. Over here is my Christmas stuff and over there are my recycling bins and back there are my frequently used garden tools. April was the start of Spring yard work and spring cleaning inside. 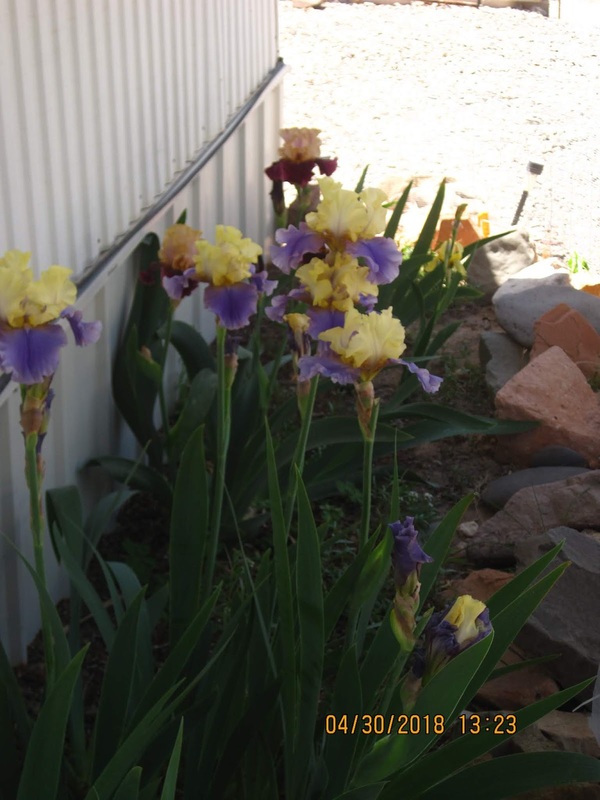 My iris were blooming and I spread cosmo and alyssum seeds on the north side where they get some shade from the very hot desert sun. The goldfinches were returning and the feeding frenzy started. Some of them never left and we got to enjoy baby goldfinches learning how to eat seed upside down from the feeders. 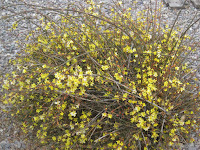 The winter jasmine shrubs had finished blooming and it was time to trim the bushes - I have 7 of them. Inside the home, the curtains were getting taken down and washed and rehung. The walls (paneling) all throughout were getting cleaned of dust that had accumulated over the last few years, windows were getting washed inside and out. The last of the Fall leaves were being rounded up and disposed of with the leaf blower (I have a gravel yard). 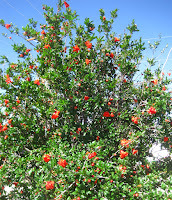 The pomegranate bush was starting to bloom out (it is an ornamental bush, no fruit) and those blooms become a massive mess on the ground when they fall, so I'd go around every couple of days and pick them up. I started baking my early summer supply of breakfast muffins and putting them in the freezer. I love muffins for breakfast and so does my midriff area. 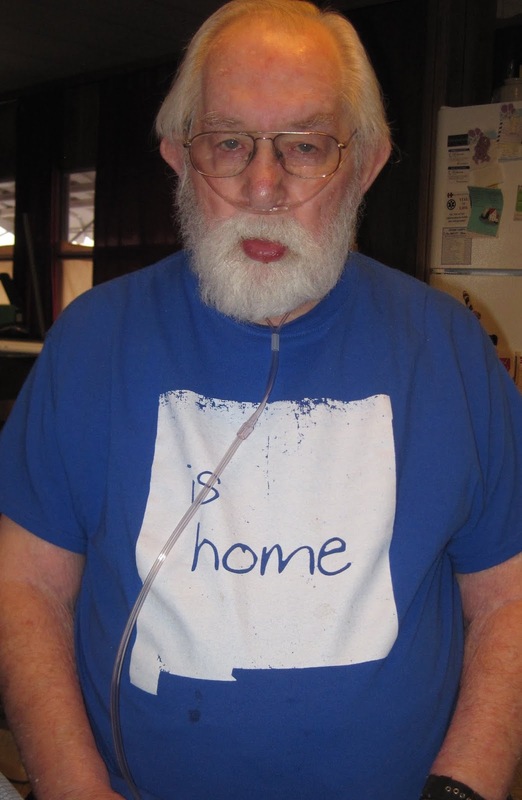 During the month of May, Jim was placed on Palliative Care, which is pre-Hospice. He wasn't responding to the attempts to drain him of the fluids in his body and the kidneys, lungs and heart were having a rough time. His bed sores weren't improving. It was hard for him to move around and I worried about him falling. A medical bed, with an air mattress, was brought in for him to at least spend 5 or 6 hrs a day out of a chair. His kidney doc kept upping his Lasix. It took 5 or 6 weeks of high Lasix dosage for his body to respond and we (his home health team) kidded him that he had ankles and legs finally. Eventually we have been able to cut the Lasix down to a maintenance level. He has been on a no/low sodium diet, a diet for his kidneys and then because of the high level of Lasix, his uric acid was high so a medication and diet for that. The low-sodium diet is easy but the other two have conflicts. 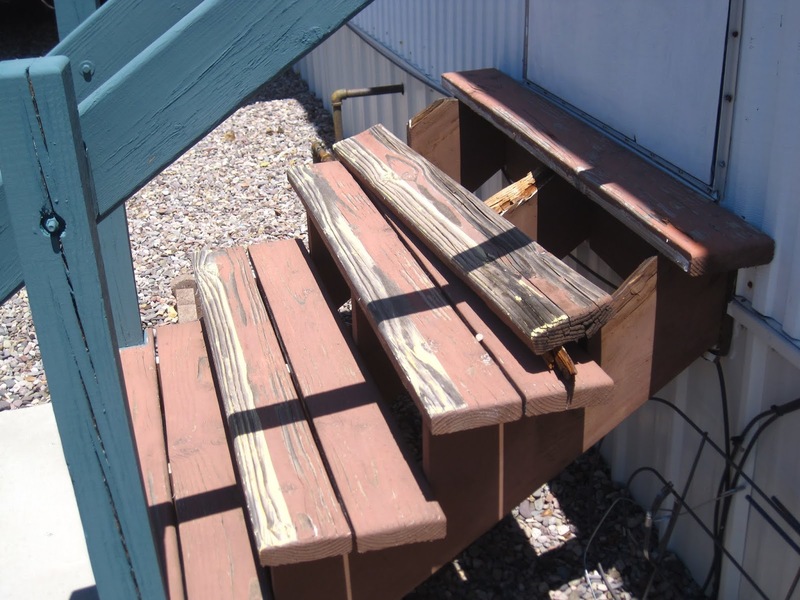 In June, I discovered the wooden steps and the step stringer at the back door had rotted, so that will be a fall project to work on. I have two wooden benches the previous owner left and I painted one a teal blue and brown, made a bench pad and pillows for it and the other bench is a Mexican style and I painted it, in July, and made a bench pad with fabric that goes with the colors on the bench. 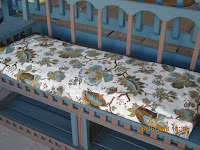 I still have to make the pillows from left over fabric. I also covered a little table with some left over fabric using Mod Podge and sealing with water proof sealing. 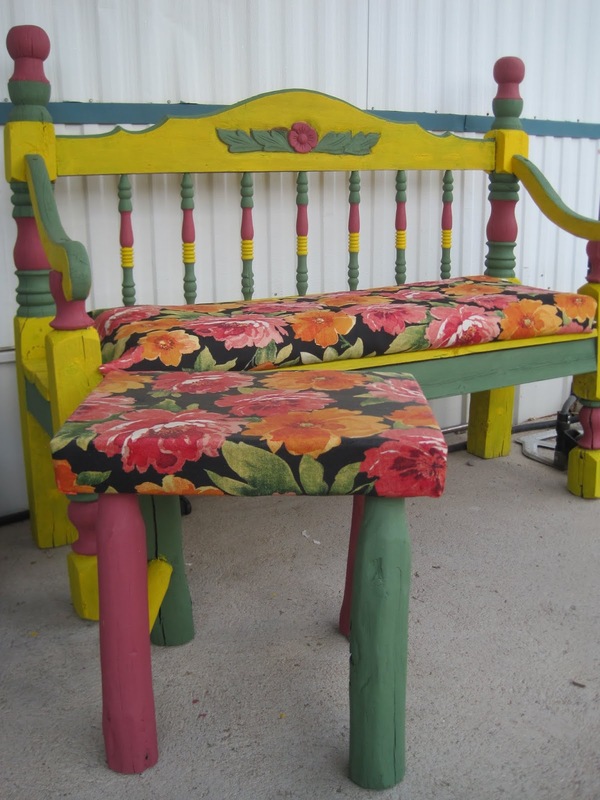 Colorful bench w/new pad & matching table. In June Juno came down to spend a few days with her dad to see for herself how he was doing. 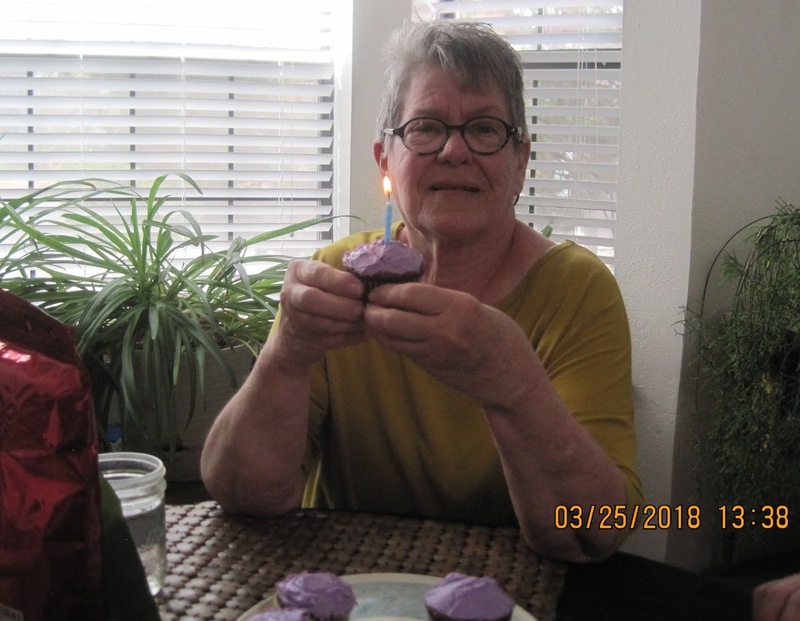 She visited with several members of his home health team and she went home with a better feeling of how her dad was doing and what is being done. I am so glad she was able to come and visit. 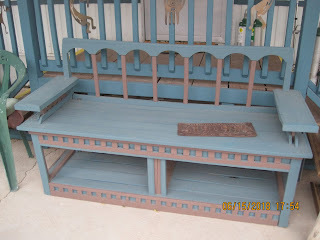 While she was here I asked her to paint the front steps railings that match the teal blue bench. I still have the porch area and steps to paint this Fall. 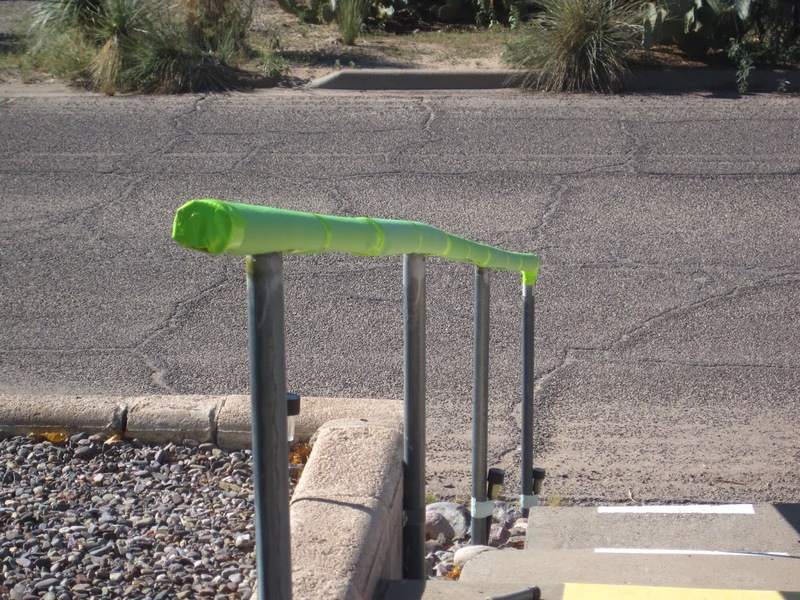 Railing is behind the blue bench. 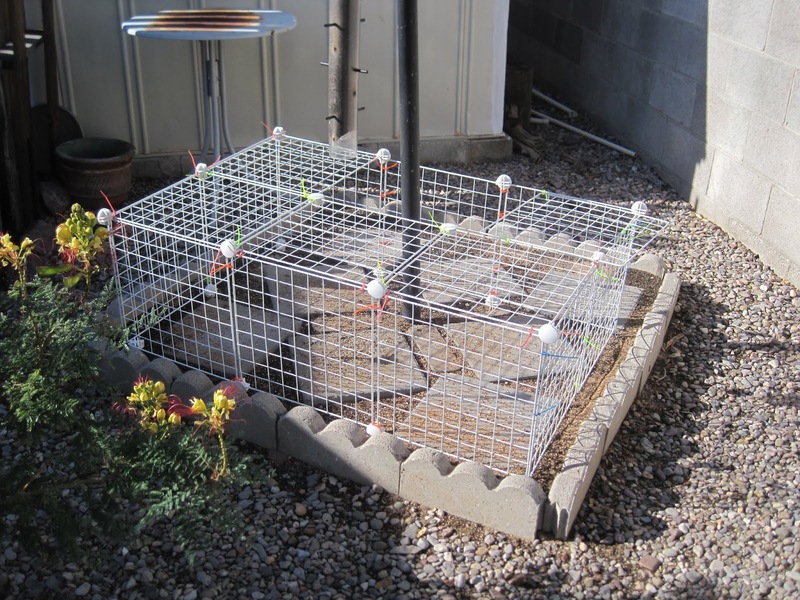 In June, I built a "birdio" for the small birds around the feeding station from a set of those wire bookcases. I felt sorry for the small birds trying to get to the dropped seeds from the feeders and constantly being pushed out of the way by the doves. It didn't take them long to learn how to get inside and was interesting watching the frustration of the bigger birds. Every few weeks I move it around so I can clean up the seed hulls and take several bucket fulls out to the alley where the doves find the pile and sort through looking for seeds. This year we put Reflectix in the west windows inside to cut down the heat of summer and it has made a difference. 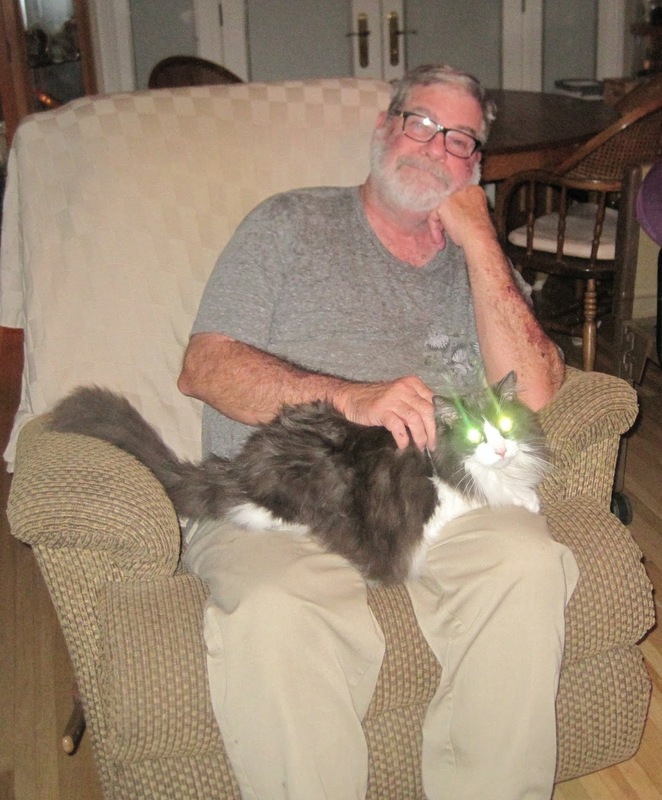 With Jim's electric hospital bed with air mattress and his oxygen machine running 24 hrs a day, then add window and portable AC's, the swamp cooler and the other appliances, I was dreading the city's electric bill. So far each month has not exceeded the previous years. 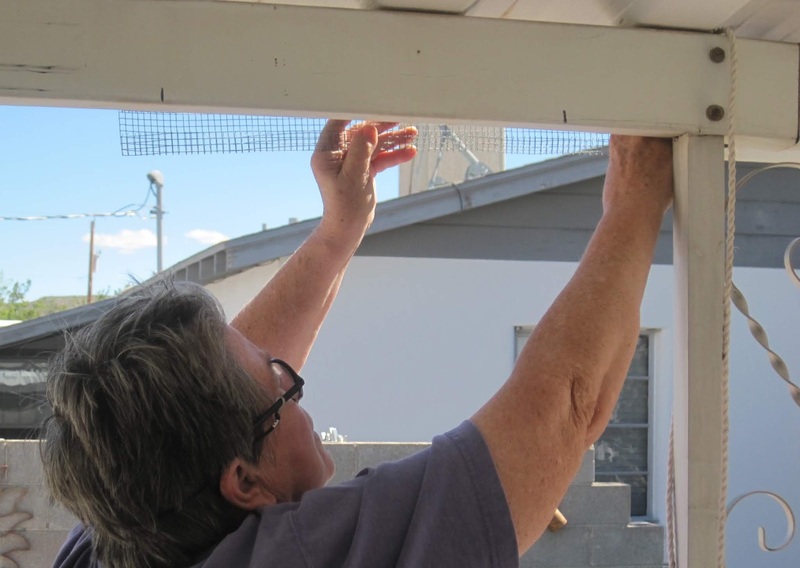 In July, I started painting the metal shutters on the east and north side of the mobile home - 5 sets. It took me into August to get them done. 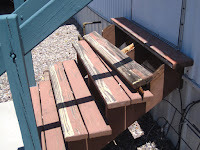 The prep work, painting, and putting a UV protective coat on them as 2 sets get a lot of sun each summer. They match the teal and brown colors. I also bought a "real" rain barrel before the monsoon season started and it has been filled 4 times along with the overflow barrel. 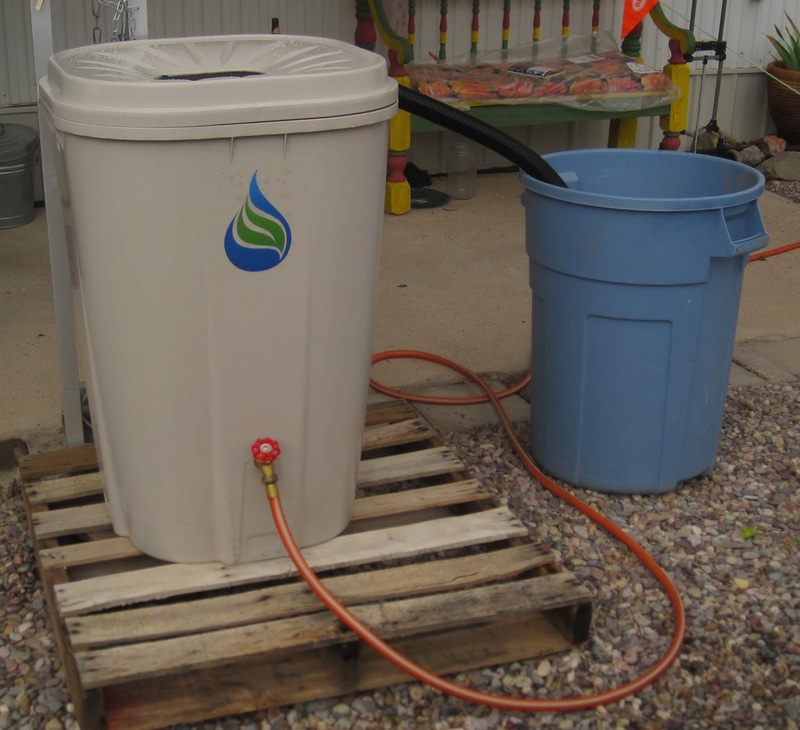 I use the water in between storm breaks to water all the plants and shrubs. 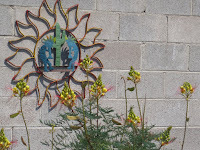 In early August, a wrought iron wall hanging needed painting so I spruced it up with some color. 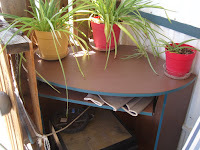 An old computer desk of Jim's was painted the brown and teal to match the colors of the home and bench. I use it to keep small garden tools, etc handy. 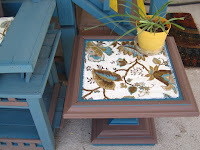 I also had a former sofa table and painted it to match the teal and brown bench and it is beside the bench. In August, I had a stress test and echo cardiogram and was apprehensive about the results from that. It had been three years since the last one and I was hoping for at least the same results; BUT they were even better!!!! My ejection fraction rate had gone up from 40 to 65, my heart muscles were stronger and my heart was doing some of the beating on its own and not depending 100% on the pacemaker. Doc also took me off two heart medicines. I was so elated as you can imagine. Jim saw his kidney doc a few months a go and he was pleased at how much he has improved and he saw his cardiologist just recently and he also was very pleased at the tremendous improvement. Jim will remain on the palliative care because he has other problems that need monitoring and it gives me a little break here and there. 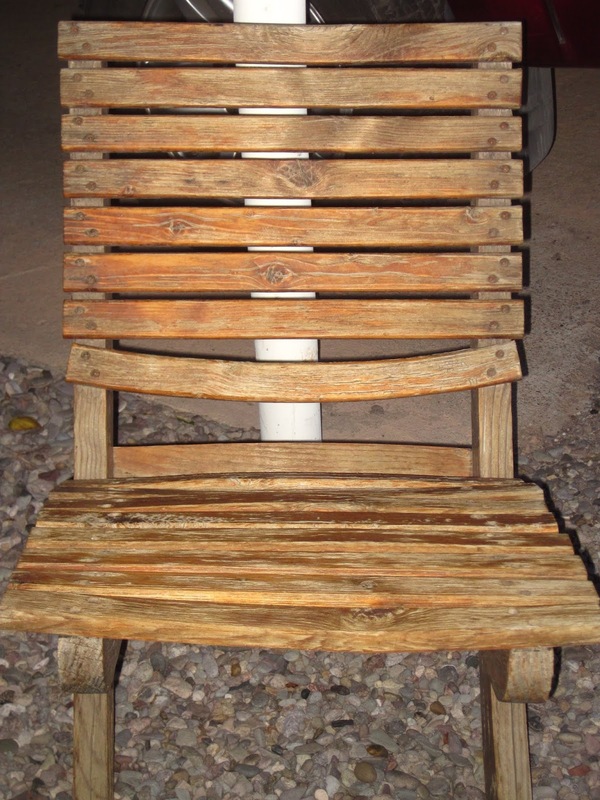 Mailbox to get some "bling"
and sanding and repainting a favorite slat chair. 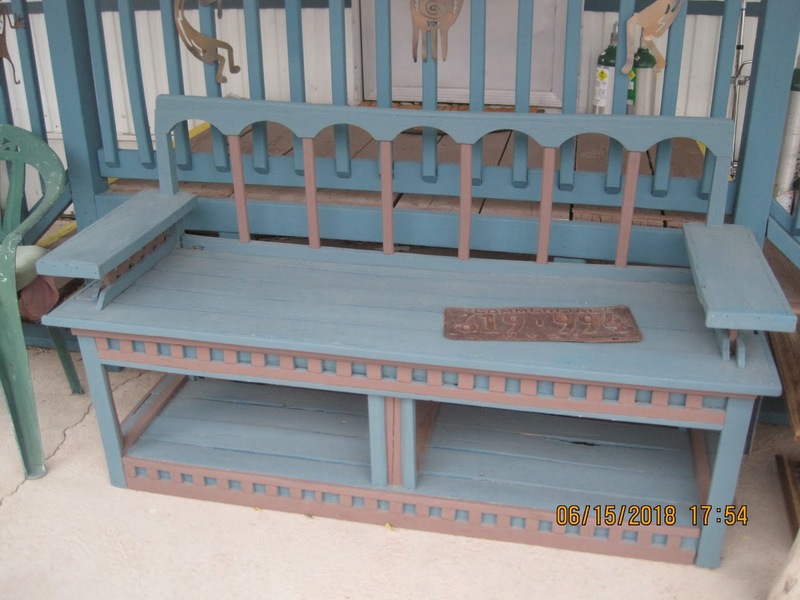 I hope to be able to do some repair/renovation to the inside of the trailer and maybe get the patio cover posts secured into the ground before the spring winds come along. And then it will be Spring and time to start all over again. Almost A Year Has Gone By. . . . . . I was going to start this posting by sitting out on my patio but the rains started and then the gnats got gnatty. So inside at the kitchen table enjoying the rain. And no gnats. I left off with the news about my sister-in-laws brain tumor and she passed in January of this year. I went out to stay with my brother at his home and to be with both of them and their family in late October and early November. It was hard. SIL came home to spend the rest of her time to be around family and friends that came by to see her. I got a chance to see the kids of my niece and nephew and meet many of Jan's friends. 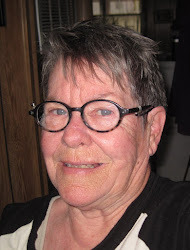 I did get to spend some time with Jan and talk with her; she could not speak verbally but we communicated thru the eyes and squeezing of hands. To date, my nephew and family have moved in with my brother with him living in a separate part of the house were he can go and hide so to speak, especially since he and KitKat are not use to all the goings on of a young family yet. They're here! Sam says let me OUT. At Thanksgiving time daughter Juno and her dog Sam came to visit us for about a week. She has a new car and we were quite excited to see it. 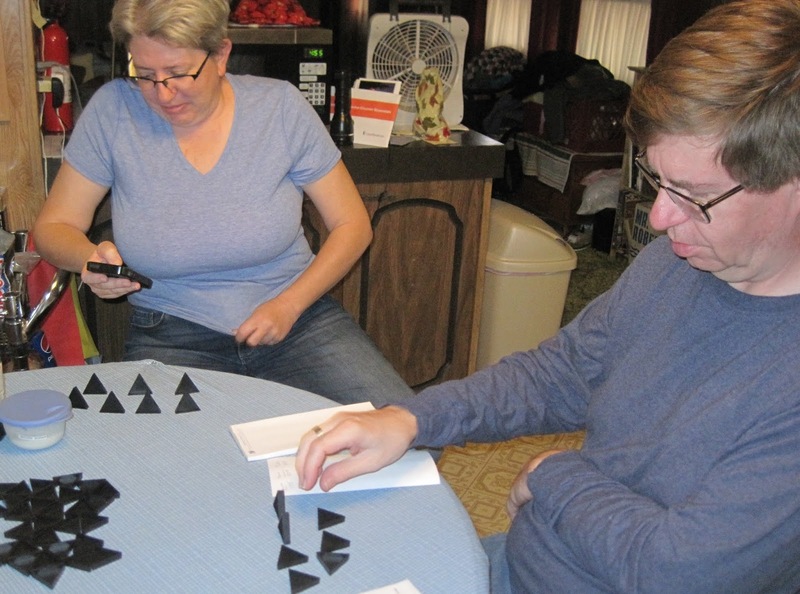 We had a great time and played our traditional game of Tri-Ominos. 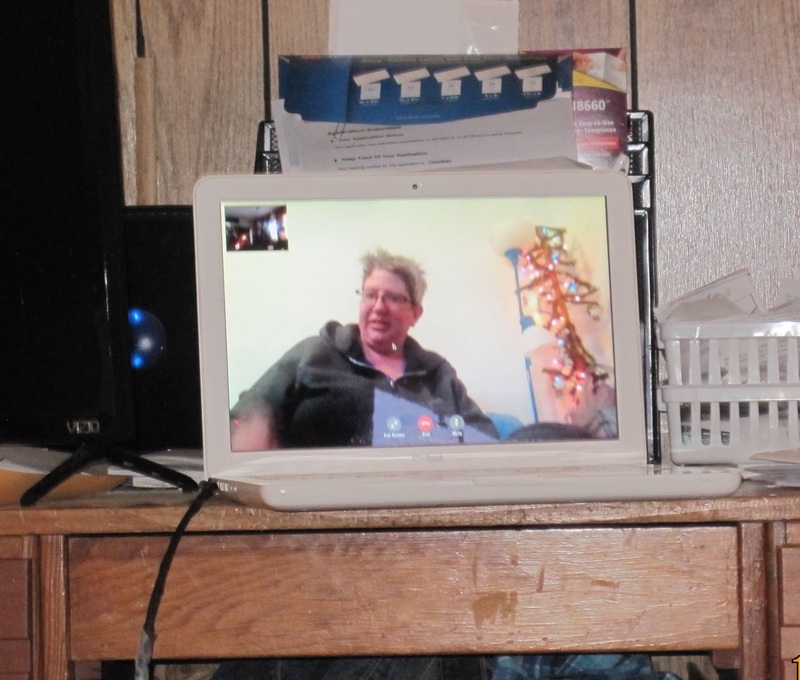 At Christmas time we opened presents together via FaceTime and have been doing that for a couple of years now. It's almost, not quite, like she is with us opening presents. His shirt says "NM is home"
In January, we celebrated Jim's 77th birthday; and in February he gave us a scare as he was having trouble with fluid retention, breathing, kidney, heart and so on. 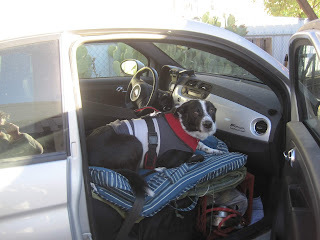 He ended up in the hospital at the end of the month with bad fluid retention and pneumonia. And of course the fluid retention wasn't helping his organs to function properly. In early February I had my eyes examined and leaned that the cataract in my right eye is getting pretty close to being ripe. I have been waiting 8 or 9 years for this thing to "ripen". Since spring was getting close, my thoughts were turning to getting the yard ready and all the projects I would like to do this year and especially all the ones I didn't get done last year. In 2017, I was so tired and exhausted all the time that I didn't want to feel that way again. I would attempt to take a walk and get a half of a block and then have to come back home. One day I was going through postings in the Pacemaker Club forum and ran across someone with the same complaint. She was told to check to see if her PM had some kind of response mode (can't remember name) that responds when more heartbeats are needed. So in March at my 6-month checkup, I asked and yup I did and it got turned on. The reason why it wasn't on was because when I was 35% dependent on the PM, I didn't need it; but after becoming 100% dependent I did need the response from the PM. From that day forward I have been a totally different person!!!!! I call it my "Turning On" Day. I have had so much energy. I managed to get my Spring & Fall cleaning projects done from last year plus new ones this year. I have done more things since March than I think I have done in the last 5 years and I really feel good about it. Put with a juice combination I swear about - at least it is my energy drink - is Ocean Spray's 100% Juice Cranberry, Blueberry & Blackberry Juice. Don't run out and look for it though, you can't find it. Several times after our local Walmart quit carrying it I went into withdrawals - awful ones. Finally I could order some on line which I did but when I went back to order 6 more bottles, they were out-of-stock. Well to make this tale short, I ended up getting bottles of Ocean Spray's New 100% Juice Cranberry and Blackberry juice and then bought Knudsen's Blueberry Juice from Concentrate and mixed the two together. Took some experimenting to get a similar mixture. My body is a happy camper and I think I have enough juice until December. Birthday at son's place. He made cupcakes. 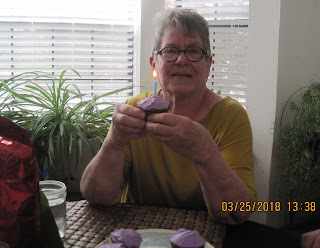 At the end of March was my 76th birthday. 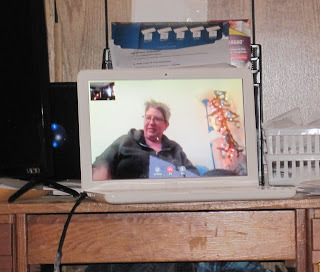 Also in March Jim started on a home health service because of his health and we had to get use to the supervisor coming by every other week, his HH nurse coming twice a week and a CNA coming a couple of days a week to help him with showering, etc. Was quite a change for us. Next posting I will go over many of the projects I have accomplished this year, some changes with Jim and some results of testing done on me, especially my ole ticker. As I Age Gracefully. . .